A trend that seems to be everywhere this spring is a soft printed pant. I will be honest I was really unsure that this would work for me, until I saw this printed version from Joe Fresh. 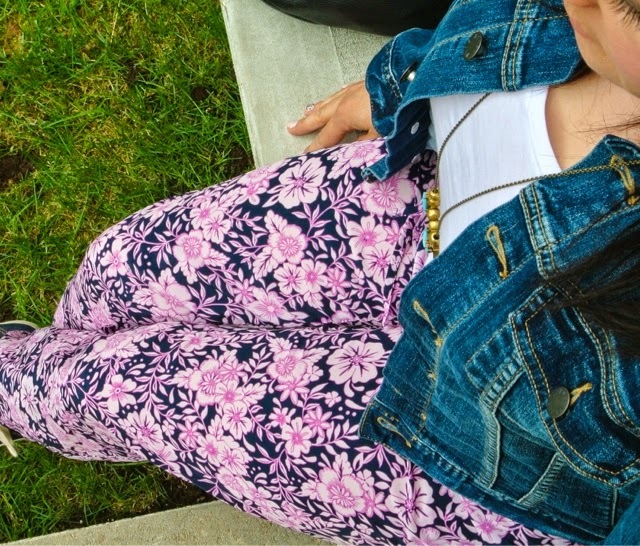 These printed pants I must admit, are so comfortable and I love the pink and navy floral. I would definitely dress these up with some white or metallic heels. For this post I decided to go more casual with a jean jacket and an easy pair of Keds. 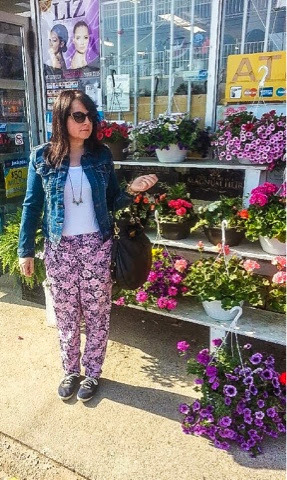 You can find these pants at your local Joe Fresh in a few other prints. These are a size small and I found they did run a little on the larger size.